This Round Faceted Crystal IP features a light-catching faceted circle atop a black crystal base. 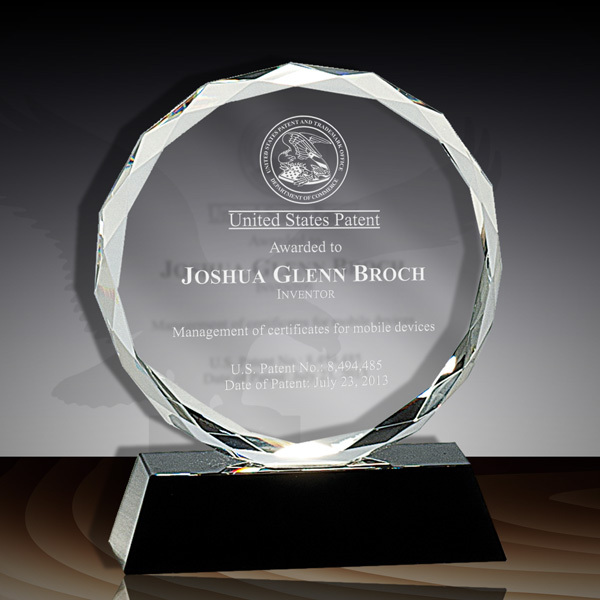 Whether it's the 1st, 5th or 10th patented invention, this award is perfect for recognizing technical contributions. 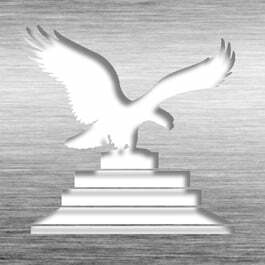 Hand-polished and beveled to create the ultimate IP award. Laser-etched with personalized patent information. Available in two sizes (5" & 7"). This Patent Award - Crystal Desk Faceted IP FC-77 is part of our Patent Desktop Award Series of products, check out other products & options available in the Patent Desktop Award Series of our selection. This Patent Award - Crystal Desk Faceted IP FC-77 can be modified to your requirements and is available for your corporate award programs.